Just came a visitor. I have to leave here now for some time. The first entry is marked and automatically started after 1 second at the most. The boot process runs so fast that my monitor is usually not initialized yet, so I haven’t noticed it yet. 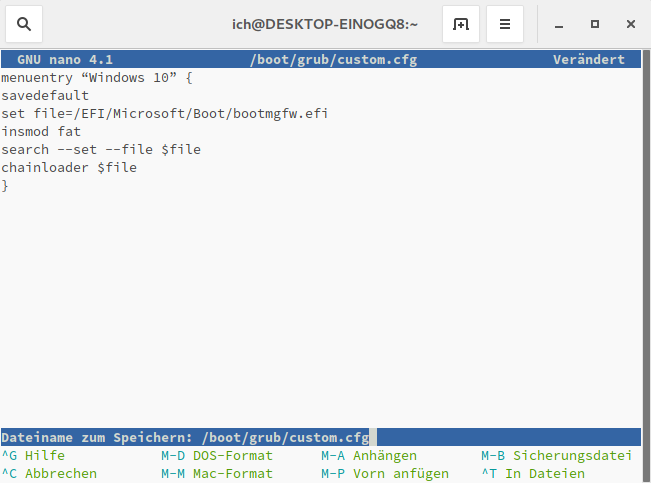 If I select “Windows”, a message appears that the system cannot find the file bootmgfw.efi. I did not try the fallback solution. @ricklinux I have now simply confirmed times with Return and it was accepted. Both <ctrl O> and <ctrl X> don’t work. 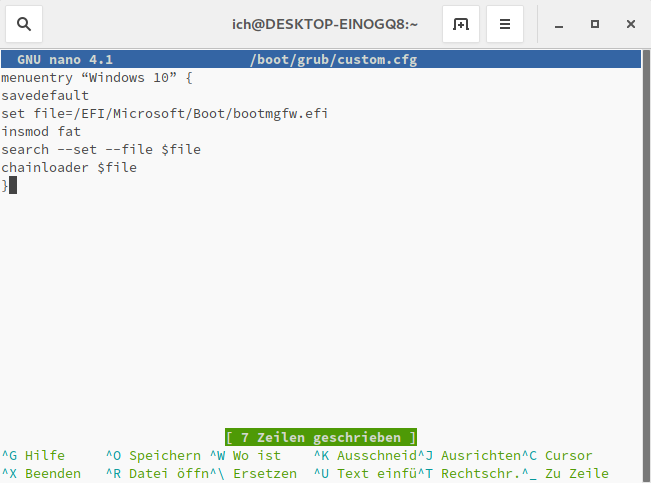 Write it with control o and save and exit with control x and then reboot. Bur I don’t know whow to save it. So do you understand how to do this? No, I don’t know exactly. This is here the newbie forum.